Another 26 wins & 84 nominations. I had to respond to someone who said this was the worst of the franchise. I happen to favor DS9, but Voyager has many great qualities including cast and unique plots. 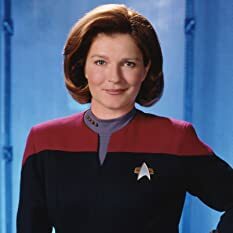 Captain Janeway was an excellent addition to the captains of Star Trek. Let us not forget the criticisms that James Kirk had during the beginnings of his work in Star Trek. The ensemble worked well together, slowly but surely over seven seasons and there were many truly memorable segments. Chakotay, Tuvok, Blana, Tom, 7 of 9, Kes, Harry, Neelix, the Doctor, at the end named Joe, each and every one developed into a character you liked each and every week, irrespective of the episode. They grew even better over time, although I wondered how Chakotay and the Captain never got together and on occasion how Blana and Tom did!and the final episode a two parter was truly a great ending to the show. There is no edge like there is in DS9, just questions on how they are going to get home, and it is the third of this group so it gets compared to ST:TNG sometimes unfavorably. But, just as the ensemble was great in each, so as it is in Voyager. If you take the time to watch the first season you will want to see each and every episode and feel badly when it all ends. Wanting more that is just not forthcoming. Criticize if you will, but the current Enterprise could take some notice of the great ensemble of the previous Star Trek's and the wonderful writing that kept many turning in week after week and continue in syndication. I just recently purchased the full seven seasons on DVD and saw it again after its television airing. 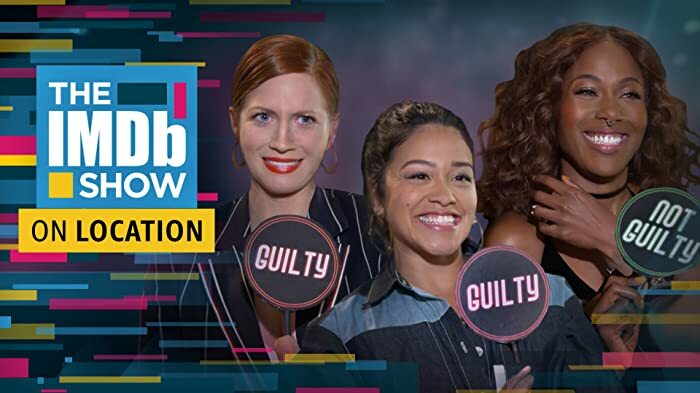 The show is even better than when I first wrote about it. Each show stands alone with compelling story lines that are creative in their design and resolution. The franchise of Star Trek- from its inception in the 60's through Voyager should continue in some form other than conventions. There is a void for good stories, writing and ensembles. Geneviève Bujold was originally cast to play Captain Janeway, but a few days into filming the first episode Star Trek: Voyager: Caretaker (1995), she abruptly quit. The Doctor is never given a rank. 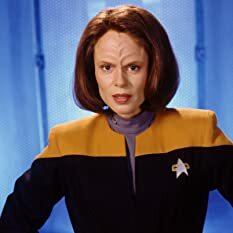 Since Data, an "Artificial life form" carries a rank, once the Captain declared the Doctor to be part of the crew, she should have assigned him a rank. However, the Doctor is unique and quite different from Data (who attended Starfleet Academy and earned his rank from years of working in Starfleet). 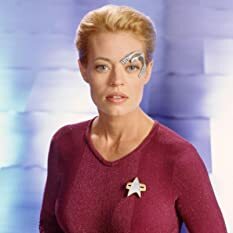 Additionally, the Captain considered Neelix, Kes, and Seven of Nine to be part of the crew but they weren't given a rank either, so the commissioning of officers is by no means an automatic thing just because somebody is part of the crew. Several episodes, such as the show's debut and finale, were originally aired as 2-hour TV-movies. For syndication, these episodes were reedited into two-part episodes to fit one-hour timeslots.